The Topcon Robotic Total Station Accessory Kit with RC-5 remote controller is an essential accessory for the PS Robotic Total Station. The RC-5 Remote Controller rests on the top of the prism pole, and emits a fan-shaped laser beam. The robotic total station uses Bluetooth technology and a directional sensor to hone in on the prism, and then initiate auto-tracking, so that you can get started on taking accurate measurements. 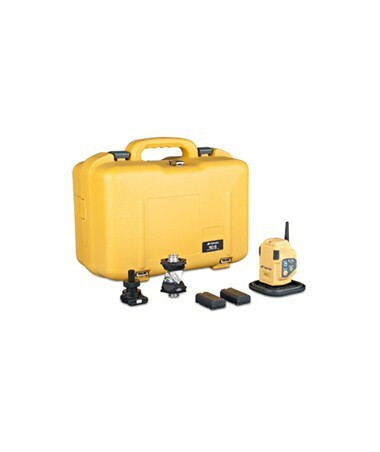 The Topcon Robotic Total Station Accessory Kit also contains a 360 degree prism, especially designed for robotic total stations. It also includes a tripod and prism pole, as well as two Li-Ion rechargeable batteries, dual battery charger, prism pole extension, and case - everything you need to start measuring with your Topcon Robotic Total Station.